Horoscope of Sadhguru Jaggi Vasudev. Planetary Positions related to Spirituality. Chart Details - As we can see that Sadhguru is born with Taurus Ascendant, Sun-Mercury-Mars in 4th house/Leo, Venus-Jupiter in 5th house/Virgo, Rahu in 6th house/Libra, Saturn in 7th house/Scorpio, Moon in 8th house/Sagittarius and Ketu in 12th house/Aries. Ketu in 12th house/Aries - Ketu in 12th house is considered as the main Moksha Margi placement where person can get liberated after this life. But as always, nothing is going to be served in a plate. Ketu splits the house where it sits. As it is sitting in 12th house of Spirituality, it shows that Sadhguru needs to have his own split opinion in matters of spirituality. That means he should not follow or accept anyone else's spiritual views or beliefs just like that and should always have his own opinion. Aries sign, a sign of individuality & uniqueness, in 12th house also suggests that he should be unique in his approach towards spirituality. 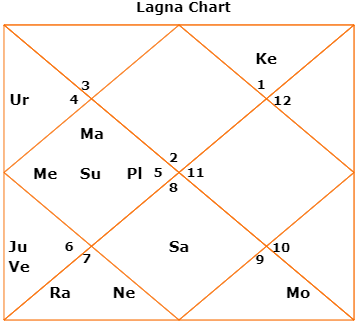 So, when Ketu is in 12th house, it gives spiritual inclination but after developing individual or unique approach. I don't think it can be considered as a placement for automatic liberation. Moon in 8th house/Sagittarius - Moon is mind, 8th house is the main home of all the occult & mystical things in world and Sagittarius is sign of Higher Learning. It shows someone whose mind is constantly looking to gain more and more knowledge about Occult and Mystical world. And when it is occult, it includes all the hidden knowledge of the world, i.e. from Astrology to Tantra to Black Magic etc. Saturn in 7th house/Scorpio - 8th house and Scorpio have same energies or representations of Occult and Mysticism. Now, why Occult & Mysticism is getting linked with someone's spiritual evolution? Because when someone realizes the existence, power & functioning of Occult or Mystical forces, then he automatically realizes that there is someone else running the show and it helps him evolving spiritually by letting go of his ego. So, Saturn in Scorpio is another position which is leading him towards spirituality through occult, mysticism and changes in life. Rahu in Vishakha Nakshatra - Vishakha is nakshatra of people who are born guides or counselors to others. Rahu being there in Vishakha makes it his life purpose to counsel others. So, he is here to guide and counsel others. And to guide anyone properly, person himself has to have wisdom and experience of life. Hence, this is another placement that is helping him a great deal. Oratory - What I like about Sadhguru is his Oratory Skills. Sun-Mercury-Mars in 4th house/Leo gives him authoritative way of speaking as Mercury, which represents communication, is with Sun-Mars in Leo which is a total combination of authority. Also, Saturn's 10th aspect on Sun-Mercury-Mars adds the heaviness and seriousness to his voice. Spiritual Experience - Then he claims to have Spiritual Experience on 23rd September, 1982. He was under Moon-Saturn-Jupiter dasha. Now, Moon is in 8th house and Saturn is in Scorpio. Jupiter is anyways karaka of Spirituality. So, he was under double impact of 8th house and Scorpio. So, it can be seen that some mystical event might have taken place with him in this dasha. Also, Saturn is placed 12th from Moon which again indicates towards mystical/spiritual event with him. Transit-wise also on 23rd Sep, 1982, Ketu was transiting very near to his birth Moon degree in Sagittarius, Moon was transiting exactly over his birth Saturn degree in Scorpio and Jupiter was transiting very close to his birth Rahu degree in Libra. So, some mystical event can be seen from dasha and transits. Public Service Work - Then he gained prominence from the establishment of Isha Foundation in 1993 and dedicating himself in service to people. It is because from Jan, 1994 he started Rahu MD and he started getting results of Sandhi Period from an year before. Rahu is in 6th house of service and in sign of Libra which is related with people and masses. Rahu is also a karaka of worldly fame. Hence, we can see all these things taking place between 1994 to 2012 during Rahu MD. 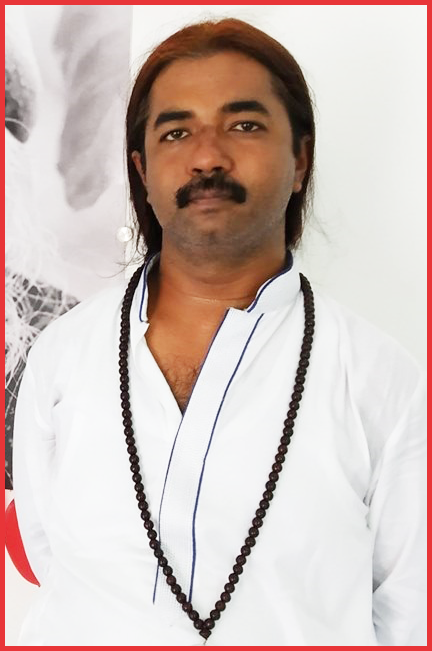 After that, he is going through Jupiter MD and he is now regarded as Worldwide Guru. Although Jupiter is in enemy sign but its basic benefic nature and placement in Trikon House is enough to sustain the good work of Rahu MD. Whether he is Enlightened? - This I can not be a Judge of. Only an enlightened one can know if another person is enlightened or not. It is just like when someone wakes up in morning then he is able to see who else in family has already woke up and who is still asleep. So, only an enlightened one can tell if Sadhguru is enlightened or not. It is just like Osho Rajneesh and Jiddu Krishnamurthy acknowledged each other as enlightened. Asleep person like me has no authority to say anything in this regard. Conclusion - It is not a chart where spiritual evolution can be seen apparently but if we pay close attention, we can find spiritual planetary placements plus dashas which are unfolding that experience.